See how shift reports can help your cash circulation be more accurate. Our latest article covered preparing KWHotel software to generate business statistics. 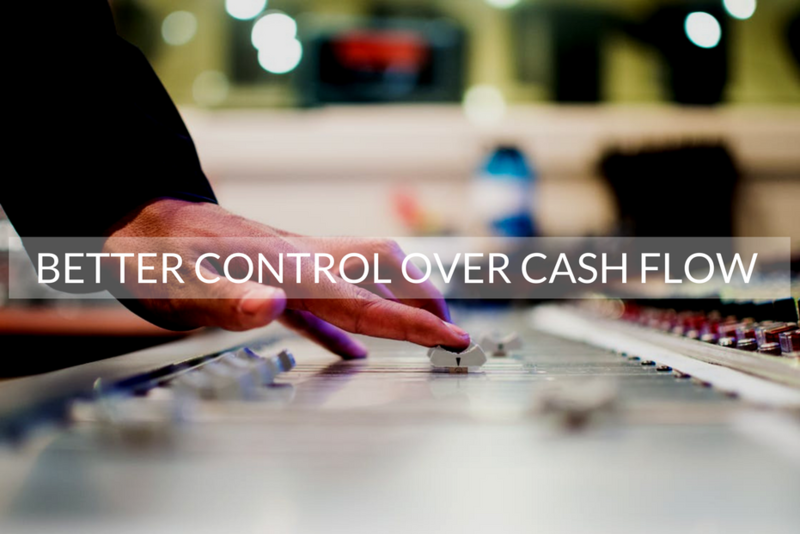 Today let us move one step further and increase your control over the cash flow. This can be achieved, among other methods, by monitoring the work of the front desk. Being aware what your team does is a key to enhance their effectiveness. It also helps countering any mistakes or even frauds! The fundamental aspect of control is awareness of the other party`s actions. In KWHotel property management software you may enable “Shift reports”. It forces every receptionist or user taking over the shift to provide the current amount in a cash register, upon logging in. This can be enabled in Tools –> Configuration –> Invoices. There you can mark the “Obligatory cash register status confirmation after changing the user” option. Now, from the moment your receptionist or other user responsible logs in, KWHotel will follow his actions. What operations do we have in mind? When the shift is over, KWHotel will automatically generate a report summarizing the work of receptionist. Only user with the administrator`s rights can access the “Shift reports” tab in the Statistics module. There you will find every shift report. Additionally, KWHotel will display the amount of cash before the shift began, what money was declared in the beginning of the shift and at the end of it. If our software picks any difference between the values inserted by the previous and current receptionist, the amount will be highlighted red. Such simple solution helps you spot any situation where the cash register amount requires additional checking or investiagtion! Let no payment be lost! Your insights do not have to end here. You can also “force” KWHotel to issue a document confirming each money inflow and outflow. What`s more, such data will also be available in the shift report! How to enable automated issuing of cash received and cash released documents? Head to Tools –> Configuration –> Invoices and select “Automatically generate cash register receipt and disbursement” for both receipts and invoices. Now, issuing a receipt or invoice will automatically create an appropriate cash document. You may view them in the “Accounting” module, Cash/bank documents tab. 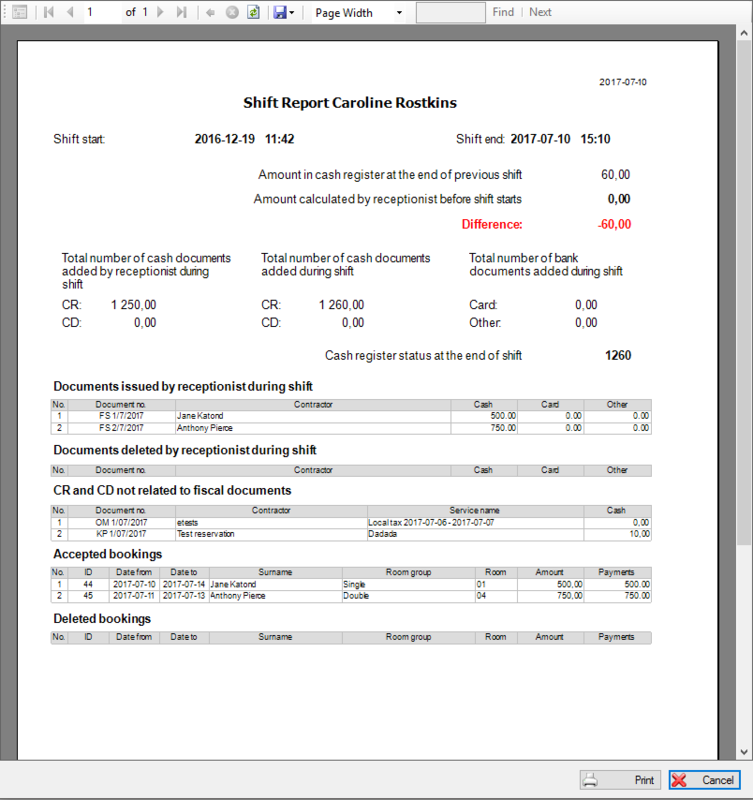 Every cash document will be included in the shift reports. This configuration ensures you have a full knowledge of your receptionists` actions and cash flow. It greatly reduces a risk of encountering any accounting mistakes. BONUS! How to create a marketing list in KWHotel? If you are a proud user of mailing system such as MailChimp or GetResponse, you may create a mailing list of your guests and use it for the marketing purposes. To obtain such list, head to the Logbook module. Now switch off all checkboxes except for Surname and Email. In the “View” field choose the search criteria for your guests and then pick the date range. Having generated a list use the “Export to *CSV (for Excel)” option. Congratulations! You have just created a mailing list in KWHotel. We are approaching the end of our article. I hope you will now feel more comfortable with controlling your front desk staff. Stay tuned for new articles coming soon!